Item 19 on Form I-765, Application for Employment Authorization, asks for “Current Immigration Status.” You may or may not have the same immigration status as when you entered the U.S. Your Current Immigration Status, which is generally identified by a visa category, describes the basis of your lawful immigration status in the United States. When you most recently entered the United States, you most likely were assigned an immigration status. This was your status at last entry. 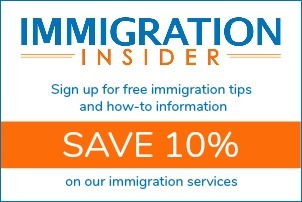 Typically, you can find your status at last entry on your nonimmigrant visa or Form I-94. However, if you changed your status since arriving, your visa category may be different. In this case you can likely find your current immigration status on a Form I-797A, Notice of Action. Change of status is not common. The most common requests are to change to a nonimmigrant student or to a nonimmigrant worker. For example, an individual might enter on an F-1 student visa. Near graduation, the student is offered employment with a company that is willing to sponsor. In this example, the foreign national entered on an F-1 visa but is currently in the United States on an H-1B.